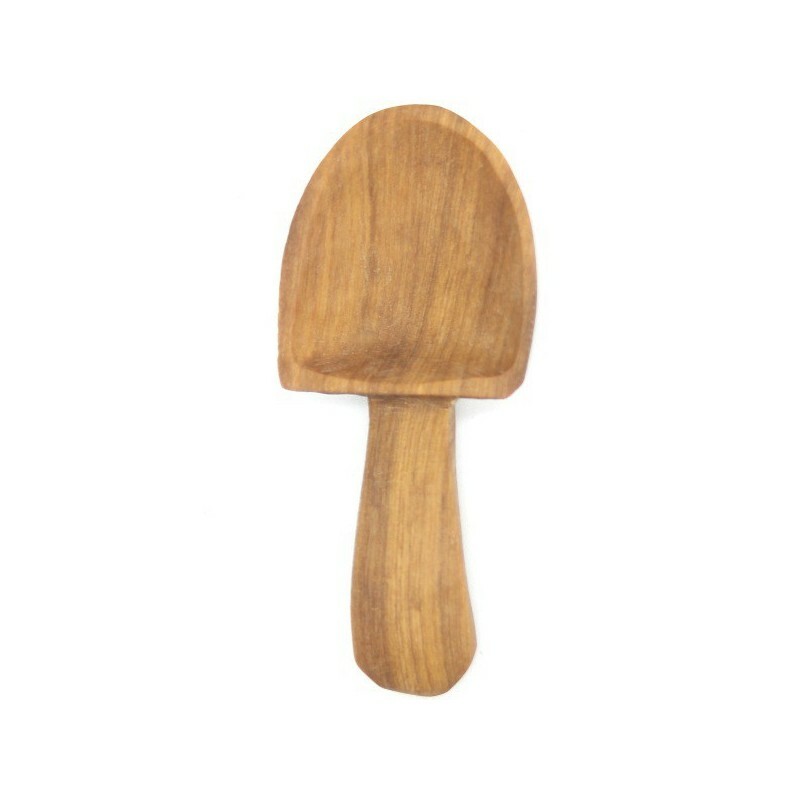 This small organic olive wood scoop is handcrafted in Kenya by a women's fairtrade Co-Op. 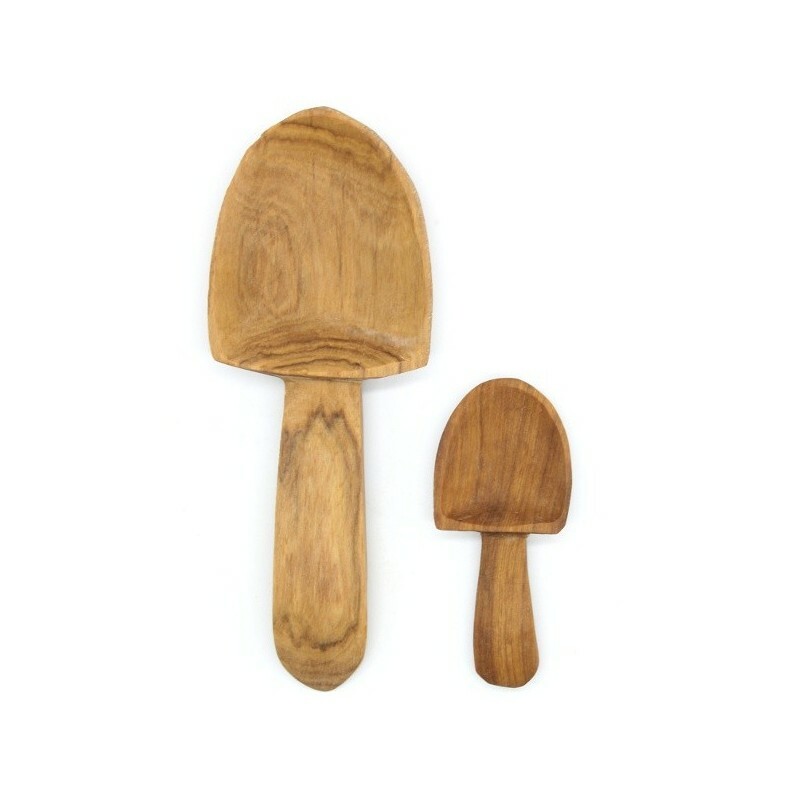 Olive is a strong, durable material with natural antibacterial properties and has a unique colour and grain, which makes for a beautiful kitchen utensil. Use to scoop coffee, tea, salt, etc. 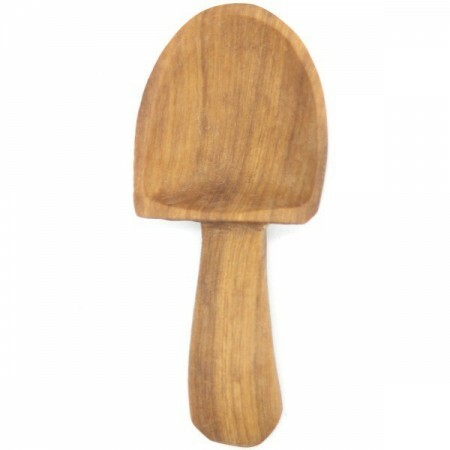 Perfect as a tea or coffee scoop. 8cm x 4cm. Olive Wood. Occasionally treat with olive oil to prolong the integrity of the wood. Browse our other kitchen utensils. I use this in my coconut sugar jar. It's perfect! Beautifully made. Quite a bit smaller than I was expecting (my fault, should have looked at the measurements), but it holds about a dessert spoon worth of dry ingredients. Fabulous scoop for tea and coffee, looks fantastic! Beautifully made.